5. Coffee Table AlternativesA conventional coffee table doesn’t always work when you’re pressed for space. 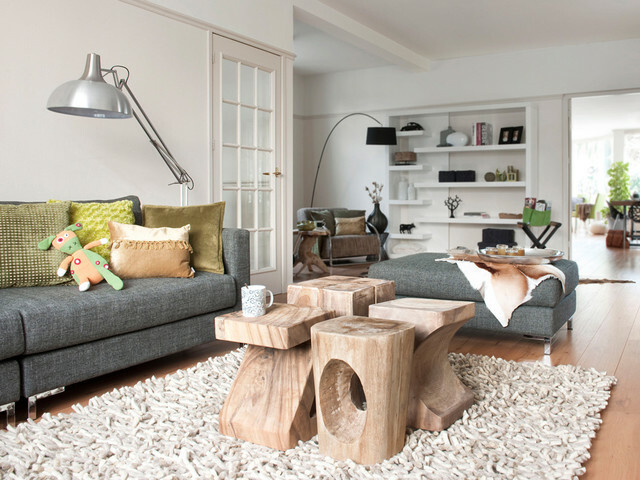 Many of my younger families also have no real use for traditional coffee tables, so I recommend using other multi-tasking alternatives:Repurposed stools: a cluster of stools can make an interesting living room centrepiece in lieu of a regular table. I love how these mobile pieces can be easily replaced by a folding table and used as additional seating!